Possibly the world’s most aspirational marque, today’s Ferrari supercars are race-bred and benefit from the lessons and technology of Ferrari’s Formula One team. From the F1 paddle shift gearbox that helps you keep your hands on the wheel at all times and makes you feel like a Formula 1 driver, through to the immediately recognisable howl of the Ferrari V8, these thoroughbreds are every driver’s dream. And at Churchill Supercars, we offer you the breathtakingly beautiful 360 Spider and the aerodynamic mid-engined 430, laced with the latest high technology. Today’s quintessential Ferrari is the breathtaking F430, featuring the highly tuned 490bhp V8 engine positioned mid-ships for ultimate balance and roadholding. And if you’re looking for a red Ferrari F430 for hire, you’ll be glad to know we have them both – the Spider and the Coupé. Look no further. 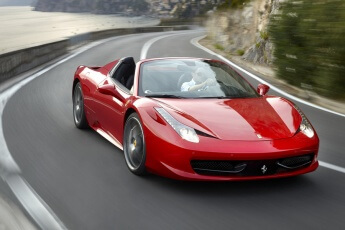 Take a Ferrari to a special event, or simply indulge yourself. 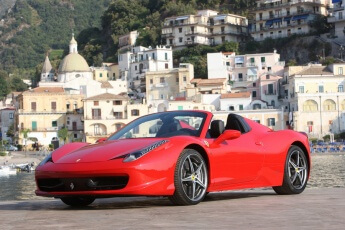 You’ll certainly have an unforgettable time when you hire a Ferrari for 24 hours. 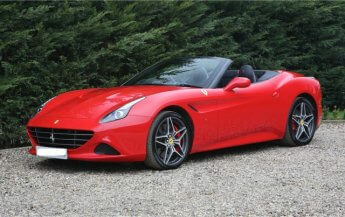 The problem is, with one of the world’s great supercars, you’ll want more! That’s why we offer even more competitive rates for a longer hire period. Go on. Really get to know a Ferrari over a weekend, week or a month. Or even talk to us about a personalised package .